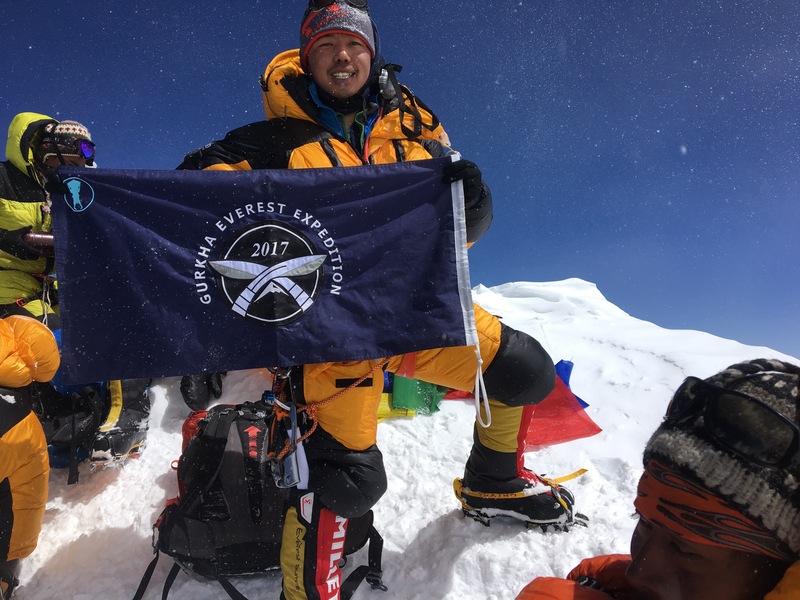 The Gurkha Everest Expedition has given a unique opportunity to 22 members of the Army, and through its build up training supported many more basic level mountaineers. It has made history, and created a legacy. The team consisted of all units of the Brigade of Gurkhas, and reservists from outside the Brigade. 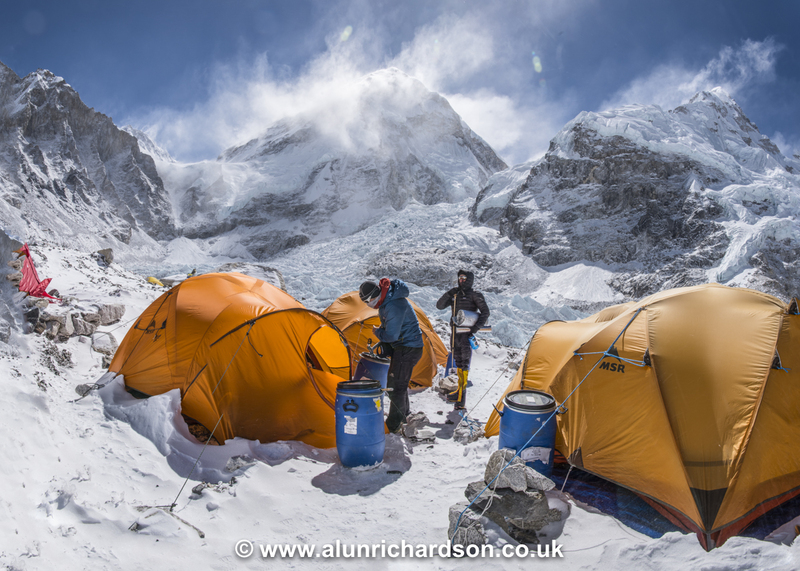 The aim of the expedition was to put the first serving Gurkha soldier on the summit of Mt Everest, a feat which has been tried in previous expeditions for over 50 years but never achieved. In 2015, an attempt was made by the current team, but was caught up in the devastating earthquake of April 25th while acclimatizing at Camp 1. The rescue story and our role in it were well publicised, and led to the second attempt in March-May this year. The expedition has been a resounding success, with 13 members summiting and all returning safely. It is the most successful military mountaineering expedition in some time. Our route to the summit involved all of the leadership and character traits that the Ulysses Trust seek to promote and develop. Our advance team of 3 were the first to the summit from the South (Nepal) side that year, and endured a long ascent through waist high snow whilst fixing ropes in place for others in the same style that Hilary and Norgay climbed in 1953. The follow-up team of 10 placed all their trust in these 3 being successful, and pushed for the summit the following day. Ultimately, all that attempted the summit were successful and no major casualties were sustained. This success was not due to the recruitment of elite mountaineers, but the selection of a team that worked well together, and could be trained to a high standard. Some had never climbed before the expedition pre-training began in 2012, including Rfn Rakesh Sunuwar, our youngest summiteer. The journey from novice to summiteer was one which covered mountaineering in Wales, Scotland, the Alps and Nepal. The support of the Ulysses Trust has played a significant part in supporting this training. 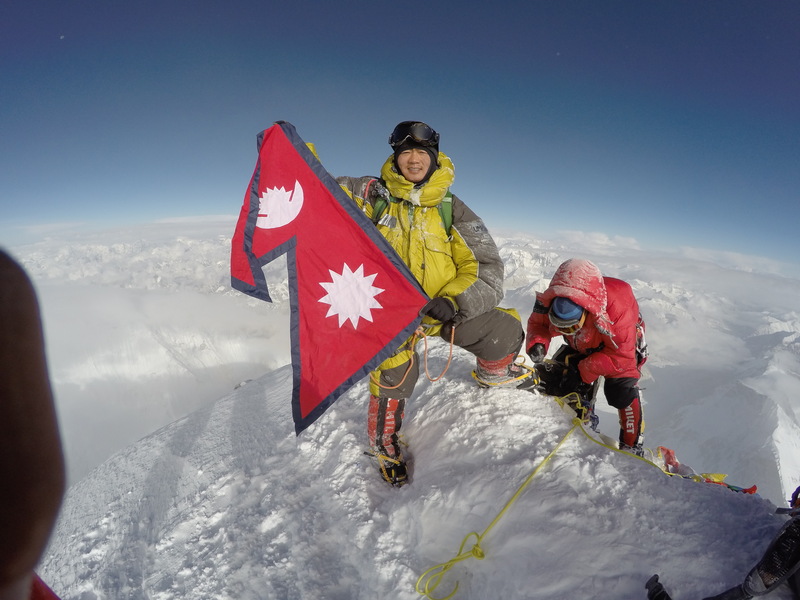 At every stage of the journey, our team was united on one goal – a Gurkha on Everest. At no point was ego or selfishness allowed to creep in, and every member of the team was genuinely prepared to forfeit their chances for another member if required, particularly for assistance in an emergency. Our expedition certainly contained its challenges, and pushed all individuals to their limit. We dealt directly with the first two fatalities on Everest that season; a legendary Swiss climber, Ueli Steick, who had fallen whilst acclimatising on Nuptse and a legendary, if older, Nepali climber, Minbahadur Serchan, who at 86 was looking to become the oldest summiteer on Everest having had his previous record broken some years before. Both of these recoveries were reminders of our own mortality and the seriousness of the challenge. The climb itself was extremely arduous, with most members losing a significant amount of weight from the massive amount of energy required compared to a meagre appetite, and one member suffering from snow-blindness on his summit bid. Personal discipline, the basic building block of soldiering, was the key and all members excelled in this area; at Camp 4 it took nearly an hour to make just one litre of water – digging the snow, melting it in freezing temperatures and a thin atmosphere and staying outside of the tent in -25 Celsius. We have certainly learnt from, and also improved, our basic skills as a result of the expedition. There is certainly a lot to contain in a short report, and our website linked above contains more detail and an archive of pictures and reports. The future, however, is what we now look to; there will be more adventures, and we look forward to our relationship with the Ulysses Trust continuing to develop to promote the values we both share. 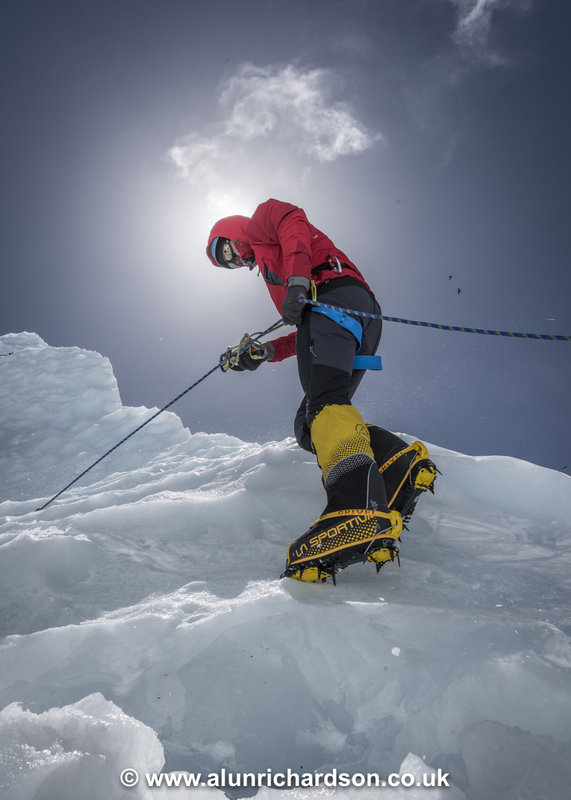 A climber moving through the Khumbu icefall, one of the most dangerous parts of the climb.